Aug 02 01:01:29 ha-node3 systemd: Started memcached daemon. but in the haproxy web, the three nodes all is down. I found the Memcache_Servers configuration in the /etc/haproxy/haproxy.cfg the port is 22122(I write wrong), so I changed to 11211, and restart the haproxy, but still not work. 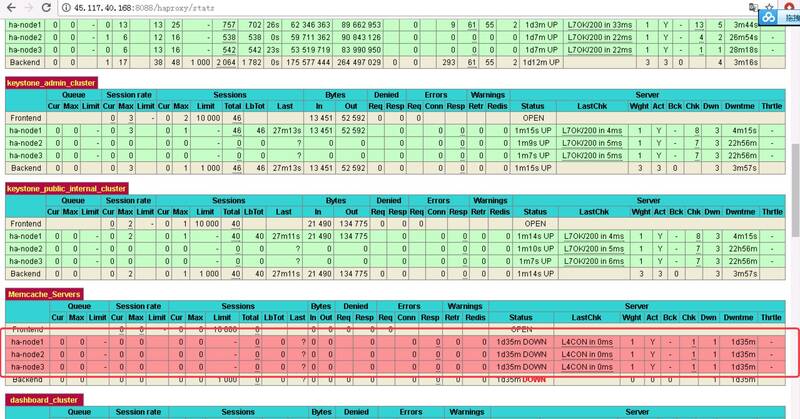 Now I restart the memcached and haproxy, it works normal now. So instead of replacing the localhost adding the management ip did the trick for me.